Imagine you are building a museum. There are two main areas involved in the project, the funding and the construction. So the fund raiser sits in her office and writes letters, makes calls, attends meetings with banks and donors etc.. The head of the building committee, is out getting dirty on site, working with architects, electricians and plumbers. Whose job is more important? Really, they are both necessary for the museum to be built. It cannot happen without either of them, and neither is superior to the other. Now, let's say that the fund raiser decides that her job is too quiet, and she wants to go out and use some power tools. She might have fun for a few days. After that, there won't be any money to keep building anything. Plus, she is not really suited or trained for this work, so she probably will want to go back to her cozy office and Blackberry. OK, and if Bob the Builder would put on a tie and move into the office to enjoy some corporate AC, he could also enjoy this for a little while. But then the building crews would be in chaos, if not become dangerous, too. Plus a guy who is used to a jack hammer, probably does not know much about grant writing. The point is that God created men and women with different spiritual designs and roles, and both are necessary (and non exchangeable). For a man, this usually means going out there in the world and doing some conquest out there. It may involve a lengthy list of tasks and very obvious deeds [with Bob, think about all the workers, sub contractors etc, he works with daily; the noise it makes; that people really SEE how much he accomplishes with each newly constructed part of the museum.] These are all the roles that a man is obligated to perform. For a woman, she may be less visible; her work may be more subtle, but is no less vital. Without the woman, things will entirely cease to progress. The fund raiser's list of 'things I did today' may be shorter, but they are essential [like I had only one meeting, but we got a million dollar donation thanks to that one donor!]. So too, a woman may have less visible roles, but her role is pivotal. God didn't want only one type of person in the world. He wanted different people for different purposes, so God made all sorts of people. He made Black and White. He made priests, doctors and accountants. And He made male and female. He made each group of people with a specific spiritual talent, and a lifestyle that achieve each one's spiritual goals. That lifestyle also includes specific commandments. If a priest would live as a pastor, or vice versa, not only would this involve a series of prohibition, this would deny that person using his God given talents and forgo his achieving personal greatness and fulfilment. It is not about being superior or inferior or being able to choose your identity. It is about actualizing a person's potential and accomplishing a purpose that reflects a person's specific essence - as given them by God. The commandments each type of person has directs him/her towards achieving his/her proper spiritual profession. Confusing those laws, confuses our spiritual occupations. So too, the male/female differences are not a matter of being superior or inferior. Today men and women play many of the same roles but each gender has its God given spiritual composition and commandments which help that gender be successful. 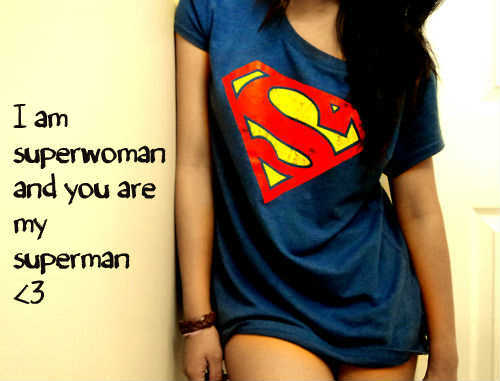 Besides, who is Superman without Lois Lane?